Liliana Antoaneta Cerepnalkoski is an internationally-recognized pioneer and researcher in the fields of medical intuition, energy medicine, human consciousness and transformation, a speaker and writer. A talented and experienced complete intuitive (clairvoyant, clairaudient, clairsentient, claircognizant, medium and channel) with a diverse background of study from Music to Medicine to Metaphysics, Liliana gracefully bridges the realms of Art, Science, and Spirituality. Liliana is passionate about educating the general public, as well as physicians and scientists, in developing their own intuitive abilities and energy management skills, and contributing to the emergence of a new paradigm that factors in energy-consciousness as part of the equation of life. 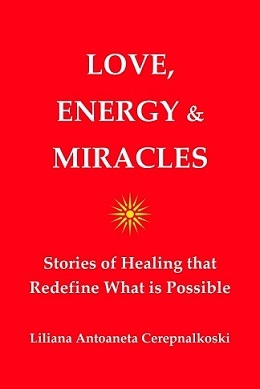 Her book Love, Energy and Miracles : Stories of Healing that Redefine what is Possible, depicting her journey of discovery into the world of intuition and subtle energies, is available on Amazon!